While I was away on a brief vacation this summer, a friend covering a family Bible study in my place called. Apparently the family was reading through Genesis on their own. After learning what circumcision is, the family’s young daughter asked my friend a question the family could not answer. “God wanted boys to be circumcised, but what did He want girls to do?” A very sincere and relevant question from a young girl wondering if she fit into God’s plan. Paul wasn’t presenting a gender neutral agenda. Circumcision was the theme of Galatians, and over the course of the entire book he makes the point that circumcision of the heart is what matters, and that applies to girls as well as boys. This was actually the original idea. Notice circumcision was of the heart and for all the inhabitants of Jerusalem. Just as Abraham originally put confidence in his flesh instead of God’s promises, (See my previous post on why circumcision.) All of God’s people are to put away their confidence in themselves and trust God’s promises. Pride must be rooted from the heart, and this can be as painful as a literal circumcision! What is ironic to me is, God gave circumcision as a way to remove the pride in the flesh, and the Galatians turned around were proud of their circumcision! So the pride never went away. Today it would be the same as an Adventist being proud that they don’t wear jewelry. In 1 Peter 3:3-4 Peter explained that our dress should be modest, leading us away from pride. But if we become proud of our modest dress the pride is still there! “Anyone” applies to women as well as men. It is pride and self that must be circumcised from the heart. The problem with general Christianity today is not that people have forgotten there is a Sabbath. 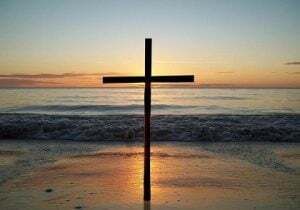 Many have forgotten or were never even told there is a cross! Self must be put crucified and put away. I say some were never even told, because many pastors like to skim over or just ignore what may appear to be unpleasant. They are not alone. Even Moses found it hard and unpleasant. While many pastors today try to skirt around crucifying the flesh, Moses seemed to try to skirt around circumcision. In Exodus 4 his wife has to carry out the rite as he neglected it for his own son. Then in Joshua 5 all the men born in the wilderness had to be circumcised upon entering the promised land. Apparently Moses neglected following up on that in the wilderness. But God could not skirt around it. Joshua had to have all the men circumcised upon entering the promised land. What this tells me is that regardless if pastors today skirt the issue of crucifying self and circumcising the heart, everyone will still have to have their hearts circumcised and self crucified before entering into heaven. So the young daughter in the family Bible study group fits into God’s plan just like any boy. We all must circumcise our hearts and crucify our flesh before entering into heaven.